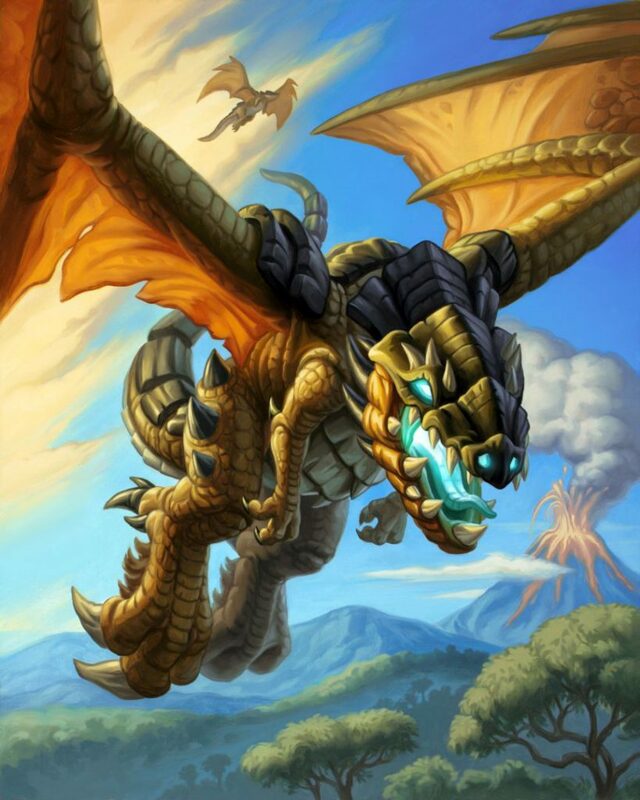 In this Hearthstone Journey to Un’Goro card spotlight, I take a look at Primordial Drake. The only new dragon card in Journey to Un’Goro, Primordial Drake has found a place in many decks and is one of the most influential cards of the expansion. Before the release of Journey to Un’Goro, it looked like the dragon tale was about to end. Luckily, we did get one new dragon in the expansion, and it is a hugely important dragon! Primordial Drake is an 8 mana 4/8 Taunt Dragon with a battlecry to deal two damage to all other minions. Before the release, people were generally a little skeptical whether it is fast enough to make a difference, but it has proven its worth many times over. 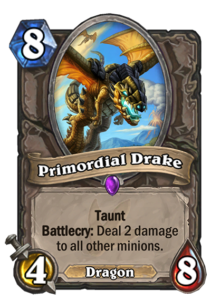 Primordial Drake is an excellent defensive tool both because of its high health and taunt ability and because of its battlecry. 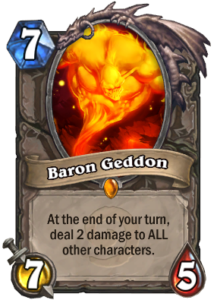 Crucially, it only deals damage to minions, so when compared to Baron Geddon, a Classic set legendary that has sometimes been used as a defensive tool at around the same cost, it has the advantage that it does not damage your hero and is therefore better at defending against aggressive decks – taunt also helps a lot there! With so many dragons out in the Wild, the core Dragon package in Dragon Priest has all but stabilized at eight cards: two copies each of Twilight Drake, Drakonid Operative, Book Wyrm, and Primordial Drake. They are the most powerful midrange dragons remaining in the Standard format, and form a stable core for the deck. This showcases how important Primordial Drake is for Dragon Priest: without it, Dragon Priest would have to run either more 9-10 mana dragons to reliably activate Dragon Synergies, or run weak cards to fill the gaps – not something you can afford to do in a competitive deck. 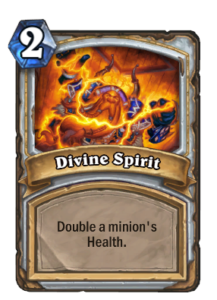 Many Dragon Priest decks opt to go for a Divine Spirit + Inner Fire finisher, and the high health of Primordial Drake supports this strategy as well. Another deck where Primordial Drake shines is Taunt Warrior. A big, defensive taunt that wipes out a board full of small minions? Sign me up! Primordial Drake has some great synergies in Taunt Warrior. 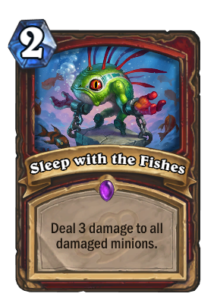 First, it is great to combo with Sleep with the Fishes, the combo dealing 5 damage to all minions for 10 mana. With Whirlwind, Ravaging Ghoul, and Primordial Drake all providing potential activators for Sleep with the Fishes, the card is almost always ready to be activated. 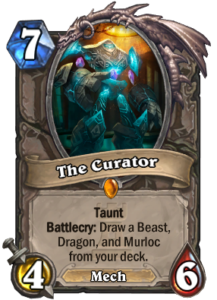 Second, it is a great fit with The Curator, giving Taunt Warrior more taunts and more card draw. You generally want to run at least two dragons with The Curator to increase your odds of getting that card draw, and two copies of Primordial Drake fit in nicely. At 8 mana for the Drake and 7 mana for The Curator, it even curves out perfectly! 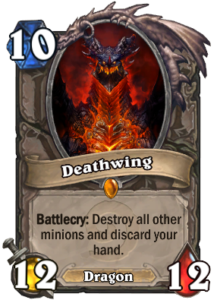 Some people also run Deathwing in Taunt Warrior, but Deathwing alone is hardly enough to warrant running The Curator, so Primordial Drake does a great job supplementing Deathwing if needed. The Curator + Primordial Drake + Deathwing package is also a great fit for Tempo Warrior. With Mulch rotating out, Druid has a severe lack of hard removal. 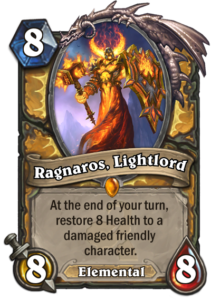 However, this downside has not prevented Jade Druid from re-emerging and taking its rightful place in the meta. One of the main tools behind Jade Druid’s resurgence – Primordial Drake. While hard removal is now gone – well, there is Naturalize and Big Game Hunter if you’re really desperate for that – Druid has always lacked another thing too: reliable removal against wide boards. 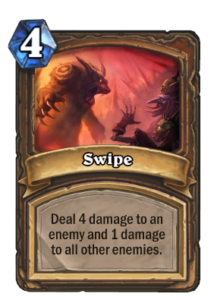 Before the Standard rotation, it was either Bloodmage Thalnos or Azure Drake combined with Swipe that Druid needed to find to come back against a wide board. 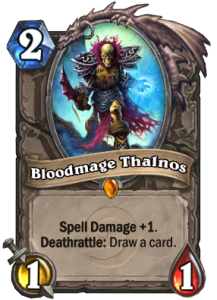 With Azure Drake now gone, Bloodmage Thalnos is the only good source of spell damage for Druid, and it is difficult to find that one copy in time. Enter Primordial Drake! Big body, taunt, area-of-effect damage. Everything a Druid needs to defend! 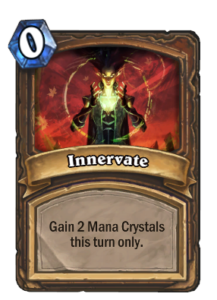 Even the hefty mana cost at 8 is not that much of a problem for Druid, as you want to be ramping up anyway and can always fall back on an Innervate to save the day. Getting a Primordial Drake out on turn five or six is definitely possible for a Druid. Currently, Jade Druid is the most successful slow Druid list, but Primordial Drake also sees regular play in any Ramp Druid lists that people experiment with, often including Y’Shaarj to gain an advantage. Right now, Paladin seems to be the strongest class. While a more aggressive Murloc Paladin is the most popular option right now, there are also lots of Midrange Paladins and Control Paladins around. In these slower lists, Primordial Drake often finds a spot as a defensive tool, sometimes combined with The Curator again for that extra card draw. 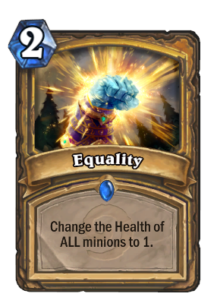 It is notable that Primordial Drake synergizes well with Equality for a late-game board clear at 10 mana: first set the health of all minions on the board to one with Equality and then drop in the Drake that deals two damage to all of them. 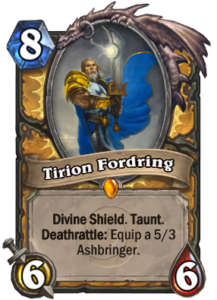 While Primordial Drake is not quite as important for Paladin as it is for Priest, Druid, and Warrior – in Paladin, it also faces some heavy competition at 8 mana from Tirion Fordring and Ragnaros, Lightlord – it is still a good tool that many players have chosen to include at least as a one off. As Primordial Drake features prominently in some of the top decks of four classes, it is clearly one of the most influential cards from Journey to Un’Goro expansion, and a safe card to craft if you’re looking to play some slower decks. There can still be other avenues to explore with the Primordial Drake as well. 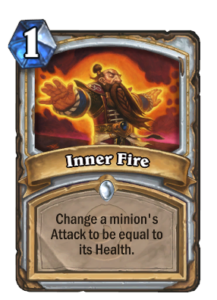 Any Dragon decks or Control decks are definitely going to be interested in the card, and it will be interesting to see what new decks it will find itself in.